The Fall semester is coming to an end, I’m drowning in marking and doing my best to ignore looming deadlines. It’s that time of year again when every second is spent working and taking care of my skin is the last thing on my mind. Thankfully, the LANEIGE Water Sleeping Mask* ($30) does all the work for me while I catch up on my beauty sleep. 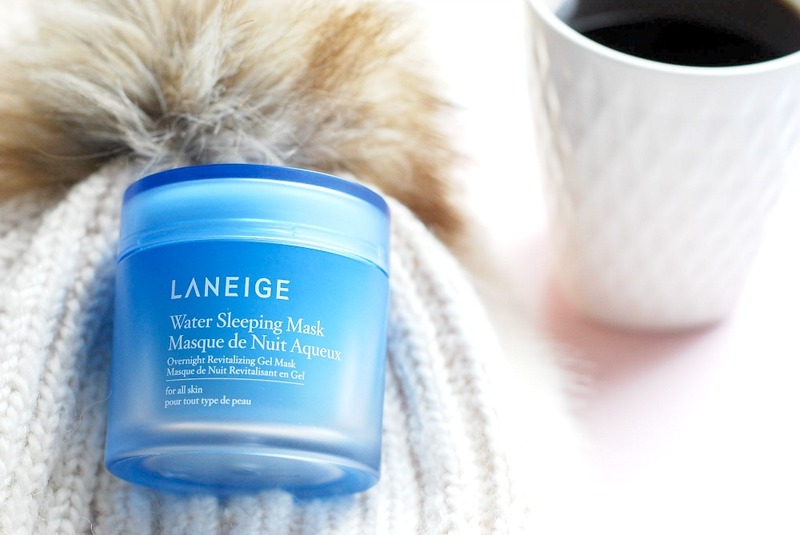 What I love most about the LANEIGE Water Sleeping Mask is that it’s a versatile product. Not only is it a great overnight treatment, but I’ve also been using it as a day cream and a makeup primer. True story. 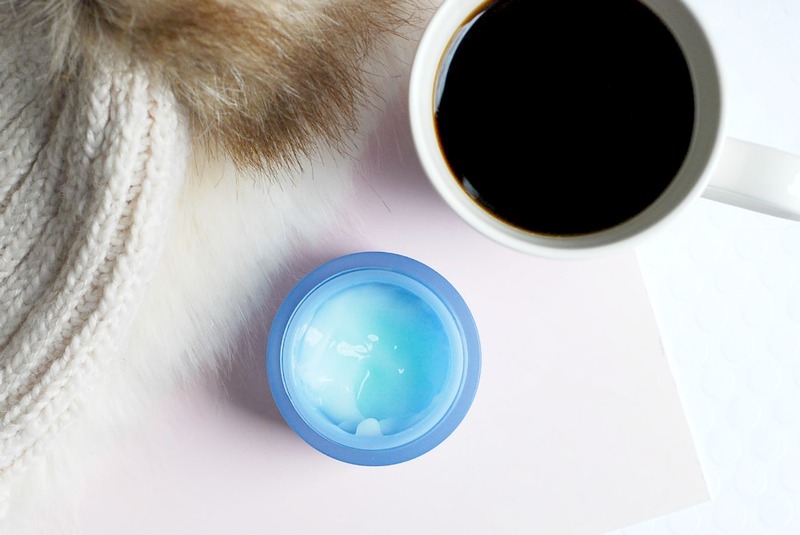 Last year, Korean skincare brand LANEIGE reformulated their best-selling Water Sleeping Pack Ex to make it even more hydrating. The Water Sleeping Mask refreshes and hydrates your skin overnight, for a more radiant complexion. The new and improved Water Sleeping Mask is formulated with ionized mineral water and ceramides to boost hydration and prevent moisture loss. It’s also infused with apricot and evening primrose extracts to exfoliate and brighten the complexion. The mask is subtly scented with Sleepscent, an aromatic blend of rose, orange flower, ylang ylang, and sandalwood oil especially created by LANEIGE for this product. The soothing fragrance is supposed to help relax the mind after a stressful day and promote a better, more restful sleep. Korean beauty may be known for its elaborate, muti-steps skincare routines, but this mask is great for those late nights and lazy evenings when you can barely make it to your bed. It’s the perfect way to end a stressful day and make sure your skin gets what it needs to repair itself. The LANEIGE Water Sleeping Mask is an overnight treatment. I use this once or twice a week instead of my usual skincare routine, and whenever I feel lazy or have a particularly bad skin day. 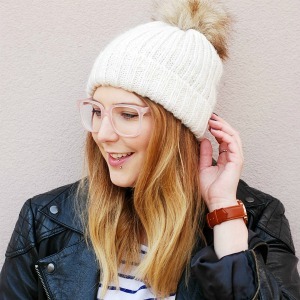 I often use five or six products at night, plus my morning skincare routine and the makeup I wear daily, so it’s nice to cut back and give my sensitive skin a chance to rebalance itself. Although it is a gel mask, it’s not thick or gloopy in any way. The gel is a pretty shade of light blue and feels like cool water on the skin. It sinks in completely within seconds – no rubbing required. The skin immediately feels softer to the touch. The Sleepscent fragrance is subtle and relaxing, but doesn’t linger. If you’re prone to headaches or have sensitive/allergic skin, this should not bother you at all. It doesn’t feel hydrating because it dries down completely, but it leaves my skin looking great. If my skin is especially dry, I sometimes put on a second layer of product on top of the first. 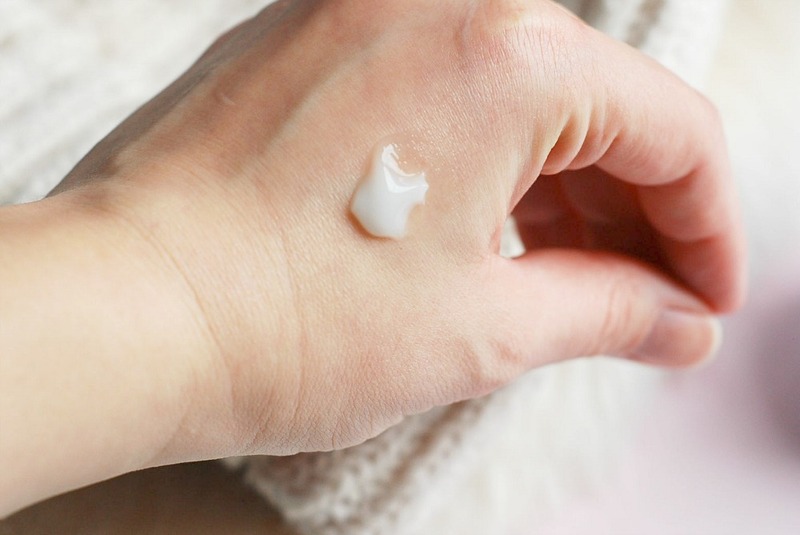 The next morning, my skin is soft and hydrated as it ever gets – which is seriously amazing when you think that I would normally use at least three products (oil and/or serum, moisturizer, eye cream) to achieve the same levels of hydration. I also use this as a day cream btw. It’s that good. I attended a LANEIGE event a few months ago, and one of their skincare experts let me in on a little secret. 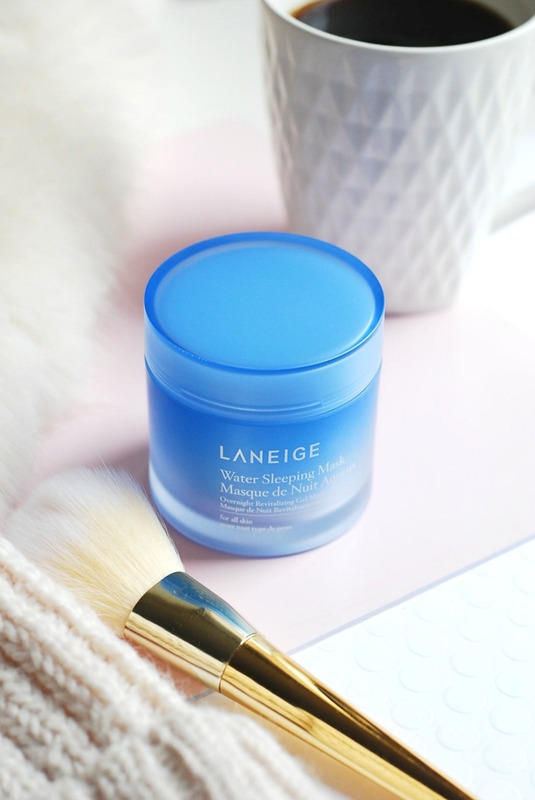 The LANEIGE Water Sleeping Mask is wonderful used as a makeup primer. Seriously. It’s super hydrating, but it sinks in quickly to a dry, poreless finish that creates the perfect canvas for makeup. I was worried my makeup might slip right off, but it gives an even smoother finish than my Benefit POREfessional primer. My makeup always goes on smoothly and looks flawless when I wear the LANEIGE mask as a primer. An overnight treatment, a day cream, and a makeup primer all in one. For only $30. What’s not to love?